The world is increasingly reliant on automation and robots for productivity, i.e. getting more (profits) while using less resources (cost). Commercially, this is completely justified. However, there is a social downside to this one-sided laissez faire philosophy. It has a tendency to promote greed at the expense of social needs. Walking the tight-rope of maximising profits and social responsibility demands not only great leadership, but wisdom and compassion. Wisdom that prevents splitting a baby into half in a situation of compromise. Compassion that stops greed from getting into excesses. This is particularly so at the governmental level where the trust of public governance is upon the shoulders of a few men, all of whom can easily succumb to personal greed over social needs. We cannot ignore the benefits of technology. But we must guard against the abuse of technology. Production methods demand economies of scale for optimum results. This had been the conventional wisdom. History does give credit to this form of economics. Great wealth has been created as a result. Unfortunately, closer scrutiny may unveil a different startling perspective. Great wealth has indeed been created, but only for a few, and at the expense of many. Statistics pertaining to the concentration of wealth bear this out (Read more ….) . Nobody can deny this grossly skewed wealth disparity in countries engaged in this form of economics. If a ten-man small operation (let’s call this a small and medium size enterprise (SME)) can produce 10 tonnes of wheat a year, all things being equal, it will take 100 men to produce 100 tonnes. This represents a cluster of 10 SME’s in production. With automation, perhaps 10 men could produce the 100 tonnes, taking away the jobs the other 90 men. Automation brings about great strides in productivity. This illustration is of course grossly simplistic. 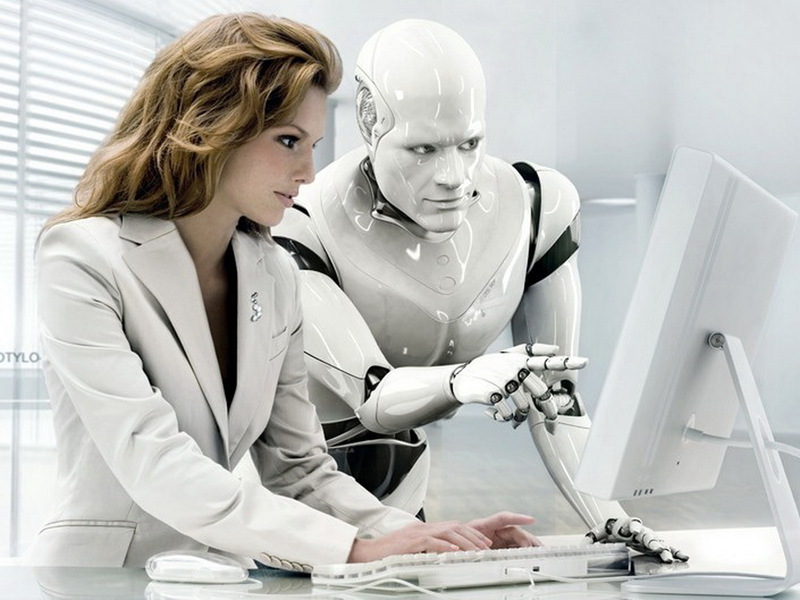 Introducing automation will require the use of machinery and people of other skills, thereby spawning new employment. However, we have to concede that in general, reducing costs while increasing production is the raison d’etre of MNC’s. Overall, there has to be more than proportionate a reduction of costs. The casualty is usually a drastic drop in human resource needs. Along with this comes a deeper chasm between the rich and the poor – the great wealth divide. Since the advent of fast food outlets, “mum and pop” shops have all been driven into extinction. These cannot survive the cut-throat tactics of the humongous fast food giants who are able to enjoy cost reduction of bulk purchases. In the place of a hearty meal “cooked like mum did” at a cosy restaurant, the family is now treated to a “family meal” of pink slime and other industrial meals cooked by machines. Gone also are the friendly corner grocery shops. They fell victims to the huge empires of Walmart, Target, Woolworths, Coles …. Their tentacles stretched all over the globe. That three-generation grocer store “down the road” is all but gone. All daily needs are now available under one roof, man by an army of stackers and counter staff in militarised uniforms. Even that is changing. Robots are taking over shelf replenishment work. Self checkout counters are getting ubiquitous. 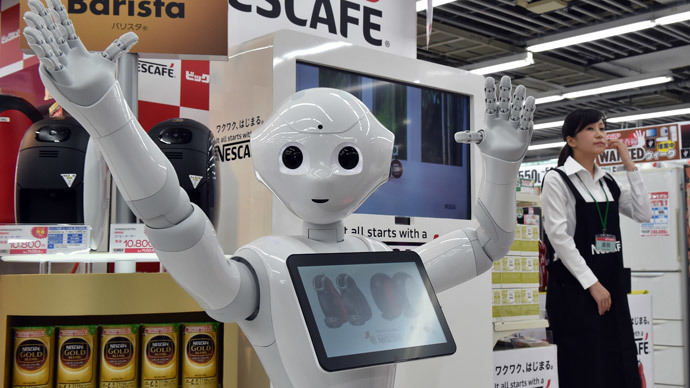 A Japanese robot may be your next salesperson (Video: “Japanese robot Pepper will sell you a coffee machine… with a smile”). Soon, robots will be all that you see at the supermarket. Robots are becoming more life-like, mimicking the dexterity of human motions. Some recent achievements are astounding (Video: Widcat in action). WildCat is a four-legged robot being developed to run fast on all types of terrain. So far WildCat has run at about 16 mph on flat terrain using bounding and galloping gaits. The video shows WildCat’s best performance so far. WildCat is being developed by Boston Dynamics with funding from DARPA’s M3 program. Will robots invade the human species in due time? Are we heading for a de-humanised New World Order? This entry was posted on December 3, 2014, 7:30 pm and is filed under Lifestyle, Social, World. You can follow any responses to this entry through RSS 2.0. Responses are currently closed, but you can trackback from your own site.